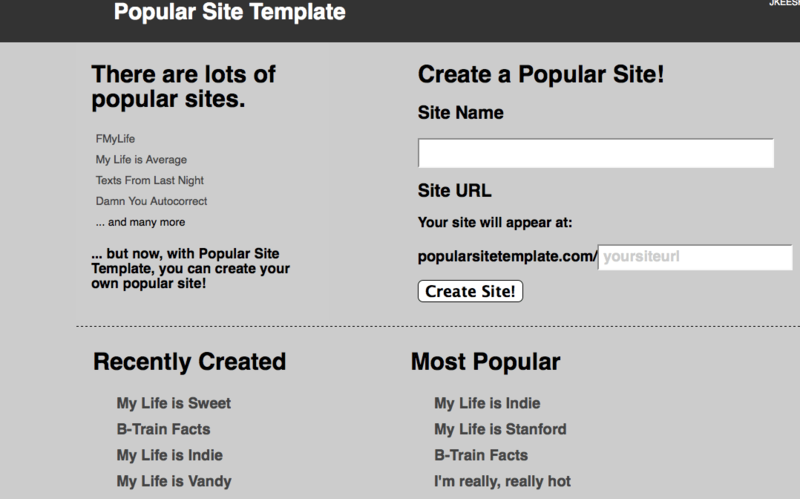 Popular Site Template, a site that lets you make silly websites! If you’ve been on the internet in the last couple years, you may have stumbled up FMyLife, or My Life is Average, or Damn You Autocorrect, or any number of sites in this genre. The genre is sites that let you post little bits of content around a certain theme, and they are usually similarly formatted. People can like comments, or dislike them with different clever words. Some let you upload photos. But all of these sites do basically this. Now, these types of sites have become so popular, that you just see really random ones popping up on the internet. But let’s say you don’t know how to make one of these sites, but have a really silly idea for a community that would like to post short joke stories. That’s what Popular Site Template is for. 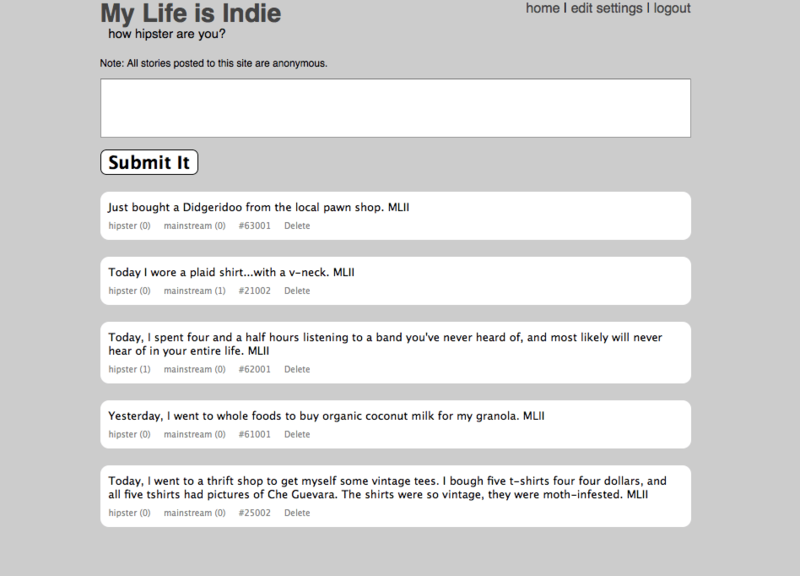 Here is a screen shot from a site made with Popular Site Template called My Life is Indie. This is the most recent site I made with Google App Engine. For those interested in seeing how it works, code is available at github.